Rabbi Akiba was the foremost teacher of the Torah who lived in the second half of the first century and the first half of the second century C.E. As is the case with so many of the Tannaim and Amoraim, it is has proved difficult for historians to disentangle the facts of Akiba’s life from the pious legends with which it is surrounded. The statement, for example, that Akiba was an ignoramus (am ha-aretz) until, at the age of 40, he was encouraged by his wife to study the Torah for 40 years, after which he taught for 40 years, is obviously far too neat to be anything but legendary, and was presumably intended to place Akiba among the great teachers who wore the mantle of Moses who lived to be 120. The same applies to the dialogues Akiba is supposed to have engaged in with Turnus Rufus, the Roman Governor of Palestine, though these might reflect early rabbinic associations with the gentile authorities and the kind of queries Roman nobles might have addressed to the Rabbis. Turnus Rufus is supposed to have asked Akiba why, if God loves the poor, He does not make them rich and why, if God wants man to be circumcised, He created him with a foreskin. Akiba replies that God allows the poor to remain in a state of poverty in order to provide the rich with the capacity to acquire merit by helping the poor, and He creates man with a foreskin in order for Jews to acquire merit by observing the rite of circumcision. In similar vein, when Turnus Rufus asks Akiba which is greater, the work of God or the work of man, Akiba replies that the work of man is greater in that God provides the wheat but it is man who has to do the sowing, harvesting, and baking before bread can satisfy the human need for food. The line running through such stories is that of human co operation with the divine; it is a rejection, fathered on Akiba, of the philosophy of quietism. Akiba studied under Rabbi Eliezer and Rabbi Joshua and among his foremost disciples were Rabbi Judah, Rabbi Meir and Rabbi Simeon. Akiba is also acknowledged as an early compiler of teachings later used by Rabbi Judah the Prince in his compilation of the Mishnah. 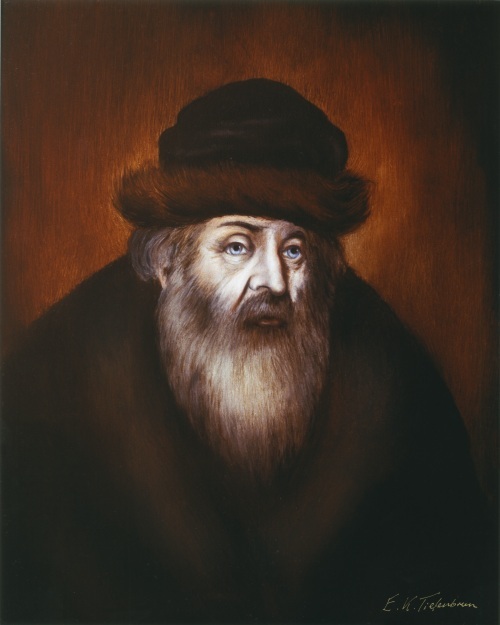 There is no doubt a kernel of truth in the accounts of Akiba acknowledging Bar Kochba as the Messiah and of him continuing to teach the Torah when it had been proscribed by the Roman authorities, for which he suffered a martyr’s death, his soul expiring while he joyfully recited the shema.